Details should be identified well in advance of the start of a project to assure the proper materials are delivered to the job site. 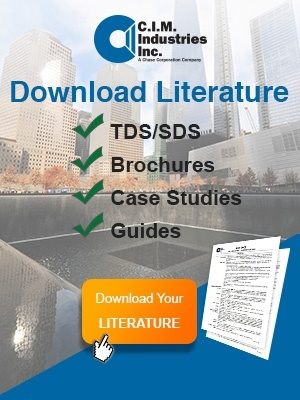 Contractors should also obtain detailed drawings that depict how to properly assemble waterproofing systems over these details, and they should request job-specific detail drawings for nonstandard conditions. These conditions require that contractors install waterproofing systems in steps. Every manufacturer and system will use a slightly different combination of accessory materials. However, read on for a general explanation of how to use these products and what to avoid. 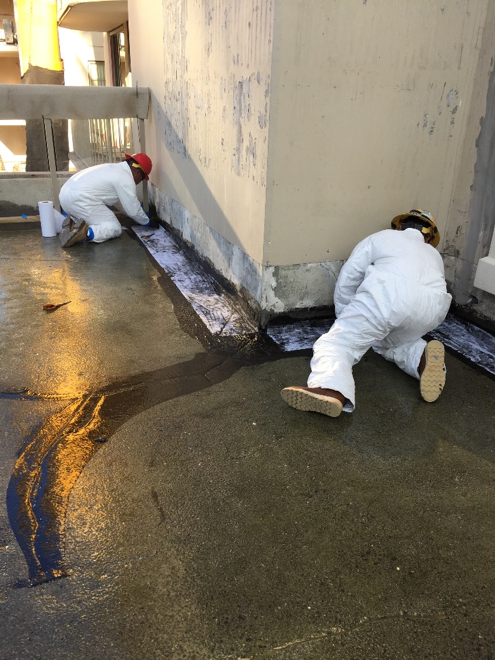 Reinforcing fabrics and tapes allow liquid-applied waterproofing systems to bridge gaps that are often found where penetrations in the waterproofing field occur and ensure adequate thickness over the transitions. These penetrations can be electrical conduit, plumping, or in the form of drains and scuppers. The reinforcing provides a strong “joint” for the waterproofing where these gaps occur. When waterproofing plywood sheathing, for example, all the seams between sheets should have reinforcing so the waterproofing doesn’t flow into the gaps creating thin spots and potential weak points where tears could occur if the plywood moves. A reinforcing fabric is a roll of fabric that must be adhered to the surface. The fabric is usually adhered with liquid waterproofing. When the initial coat of waterproofing has enough strength to hold the fabric in place, a second coat of waterproofing can be applied to the top of the fabric. A reinforcing tape is a fabric with a sticky adhesive on one side. The tape can be stuck into place and does not require the initial coat of liquid waterproofing. The cost associated with tape is typically less than fabric due to the speed at which it can be applied. When comparing costs, it is important to factor in the price of the initial coat of waterproofing needed for fabric. There must be no wrinkles or fish-mouths present in the tape or the fabric. If any exist after the system is dried/cured, they must be cut out and properly repaired. Wrinkles and fish-mouths provide small tunnels through which water travels, reaches the gaps in materials, and continues, using the path of least resistance. A trowel grade mastic product is a viscous liquid-applied material that can be used over sharp edges to assure proper thickness or to fill in gaps and cracks prior to installing a waterproofing system. The product may come in pails, cans or caulking tubes. 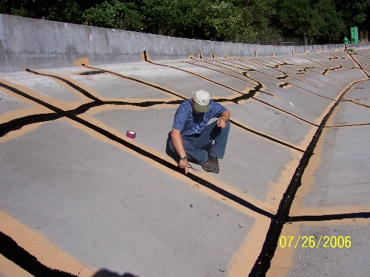 Expansion joints, large cracks and voids may need to be filled with foam backer rods and then topped off with trowel grade or caulking material. This is typically necessitated where movement is expected. Using a foam backer rod followed by trowel grade or caulking material will maximize the life of the sealant in the gap. 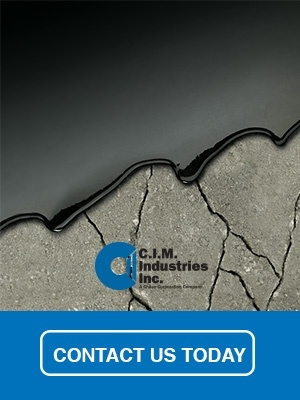 Certain systems utilize uncured neoprene flashings or metal flashings to achieve results similar to those provided by reinforcing fabrics or tapes. Review details with waterproofing manufacturer. 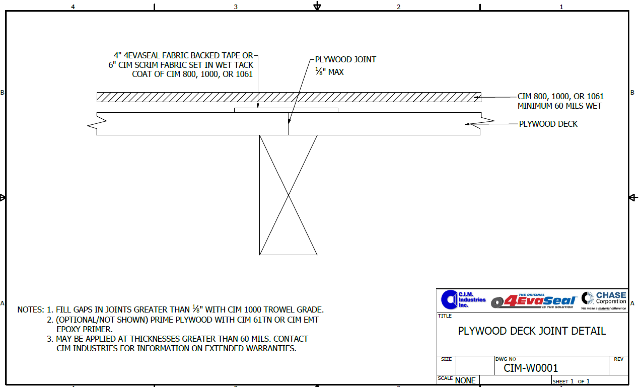 Ask for standard and nonstandard detail drawings that illustrate proper techniques. Obtain the necessary accessory products. Execute carefully! Take extra time to install the system over details. Defects in the details almost always result in leaks.